If only new opportunities and increasing sales were as certain as death and taxes! Unfortunately, few things are as certain for small business owners as the annual quest to organize financial records. Loathed by 40 percent of entrepreneurs as the worst part of running a business, tax preparation and bookkeeping can easily eat up more than 80 hours every year. 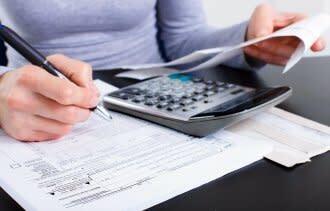 Whether an entrepreneur prepares and files his or her own taxes or works with an accountant, the first step to less time-consuming and stressful tax preparation is getting organized. New technologies make it easy for small business owners to gather all their important documents in a single location, but a recent survey of accountants indicates that these tools may be underutilized: Tax preparers have reported that two out of five clients lack up-to-date financial records at tax time. Accountants and bookkeepers enjoy a reputation for fine-tuned attention to detail, but even the most meticulous number-crunchers still make the occasional typo. By eliminating manual-data entry and automatically extracting important data from documents, smart organizational software eliminates the opportunity for human error. Entrepreneurs invest in their businesses and count on recouping some of those investments as tax deductions. Not only does a habit of scanning bills into smart organizational software help ensure that all deductible expenses are tracked and accounted for, but technology can also enable easy itemization of costs by tagging them with the same tax categories that the IRS uses. Being forced to justify each and every deductible expense may be a headache, but having all information available in one place can make the nightmare of being audited a little less painful. Technology enables entrepreneurs to search a cloud-based system by amount, vendor, date or other keyword instead of searching through papers by hand. Make tax time easier today and bookkeeping easier tomorrow. Tax day is right around the corner, which means that now is the time to get organized. Small business owners who start leveraging technology to organize paperwork will enjoy a tax season with fewer worries -- and clearer, more streamlined bookkeeping all year round.